Dying from diseases like ALS and Alzheimer’s is a tormenting process. The illnesses are on the increase and scientists believe environmental toxins can trigger the disease in a gene/environment interaction. 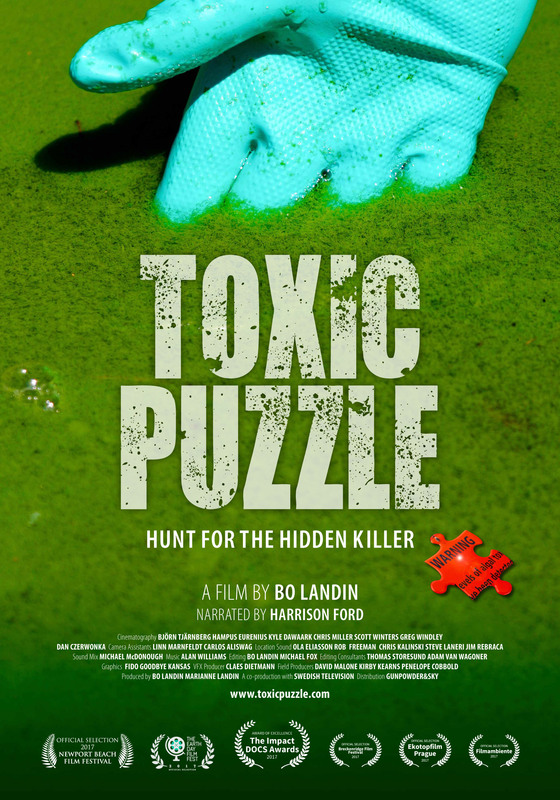 Narrated by Harrison Ford, Toxic Puzzle is a medical and environmental detective story where documentary filmmaker Bo Landin follows ethnobotanist Dr. Paul Alan Cox and his scientific team around the world in a hunt for the hidden killer. The pieces come together in a toxic puzzle where cyanobacteria in our waters become the culprit. Toxic Puzzle includes compelling scenes filmed in Toledo, Sandusky and other communities bordering Lake Erie, where the potential health consequences of algae blooms are drawing increasing attention. Following the screening, director Landin and Dr. Cox will discuss the making of the film and what they’ve learned since the film’s release.